Worried your surround sound system might wake the downstairs neighbours? 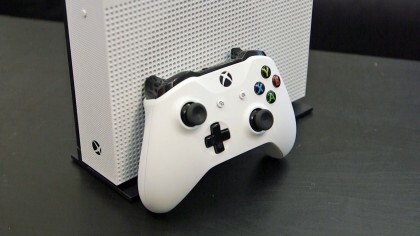 If you’ve the right audio kit and an Xbox One or Xbox One S, you might have to start considering those living above you too – Microsoft has just announced that overhead Dolby Atmos surround sound is soon to be supported by its slimline console. Originally announced back in October, Xbox mouthpiece Larry “Major Nelson” Hryb revealed that those on the Xbox One Preview Program will be gaining access to Dolby Atmos options this week. Dolby Atmos support has been limited for gamers so far. Though Star Wars Battlefront was the first game to include the sound option, it was available only to players of the PC version of the first person shooter. Overwatch followed earlier this year, but it was restricted to use with compatible headphones only. In terms of console support, Atmos has until now yet to feature due to its sizeable CPU requirements. It takes a lot of processing grunt to deliver as many as 128 discrete audio channels at once, which at launch the Xbox One (and by virtue of no similar announcement, the PS4 line-up) presumably couldn’t cope with. As it’s say nestled under the Xbox One’s Blu-ray disc options menu, it seems that for now the Dolby Atmos tech will be limited to Blu-ray playback. Hopefully this will open the floodgates for wider gaming support too. But if you’ve got a 4K-ready Xbox One S sitting under your telly and Dolby Atmos speakers pointed towards the heavens, you’re now set for a cinephile’s dream Christmas. Updated: PS4 vs Xbox One: which is better? Who Shot the Iconic Apollo 8 Earthrise Photo?